So, you have your shiny new Nexus 7, you’ve installed all your apps and got it running exactly as you want it. But what about those official accessories to go with it. After all those pesky iPad’s have them in their thousands! Well, according to Nordic Hardware the official accessories are on their way. A set of official slides has been uncovered and reveals the all important details. Not a fan of non-official cases? Well there are two types available, the Premium and Travel Cover. 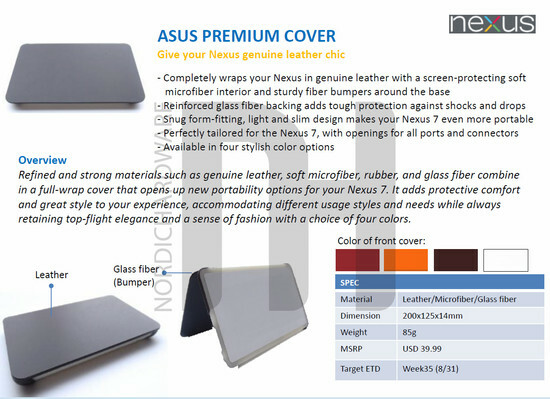 As can be seen, the Premium cover is made from genuine leather and has a fibreglass edge and comes in four colours. 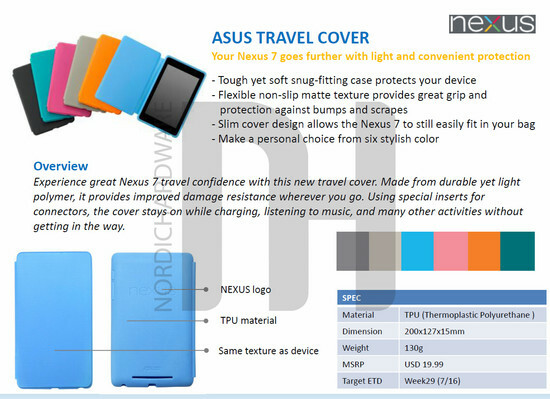 The Travel Cover comes in six flavours and is made from a “durable polymer”. 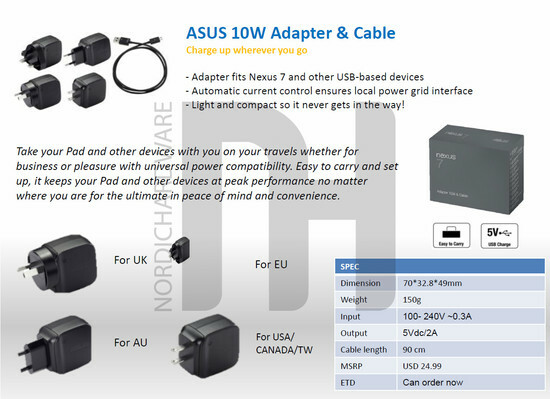 Next we have a travel charger which supports the UK, EU, AU, TW, Canada, and the USA. Lastly we have a much anticipated dock. The observant amongst you will have noticed the four pogo pins on the side of the device. These connect to the dock which has a 3.5mm speaker line out and a microUSB port for charging and is said to be “perfectly-angled for better movie and photo viewing, browsing, and email.” Unfortunately no mention has been made of an HDMI out port. The slides indicate availability from the 24th August but no word has reached us yet of UK pricing. 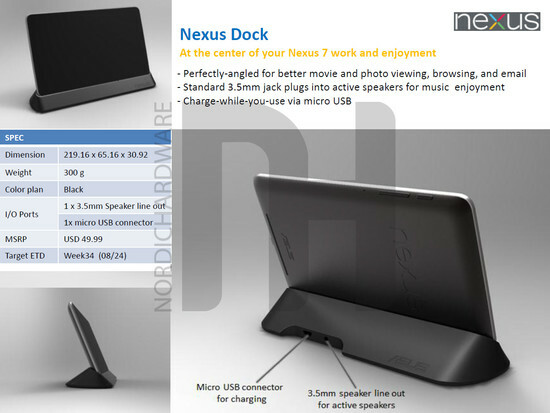 Are you waiting for the official Nexus accessories? Let us know over on our forums.